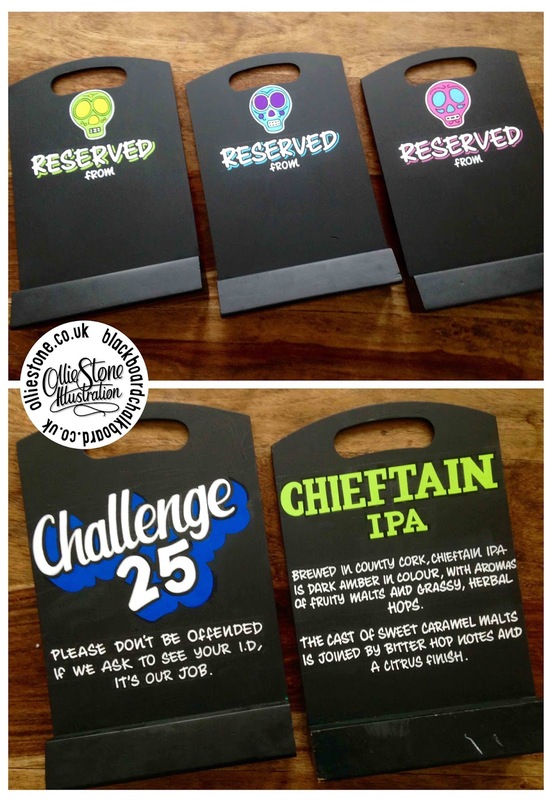 Marston's Inns and JD Wetherspoon pub chalkboards. 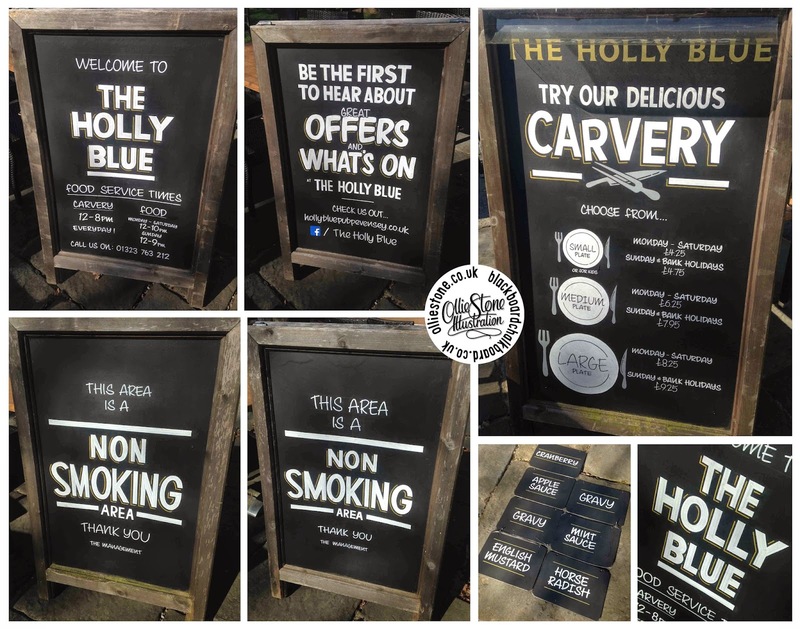 New a-boards for Marston's Inns, The Holly Blue near Pevensey, East Sussex. 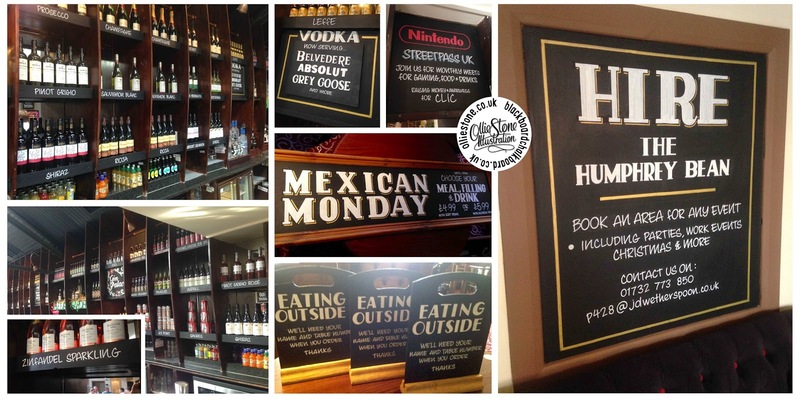 A-boards and tombstone blackboards for JD Wetherspoon's, The Ivy House in Alton, Hampshire. 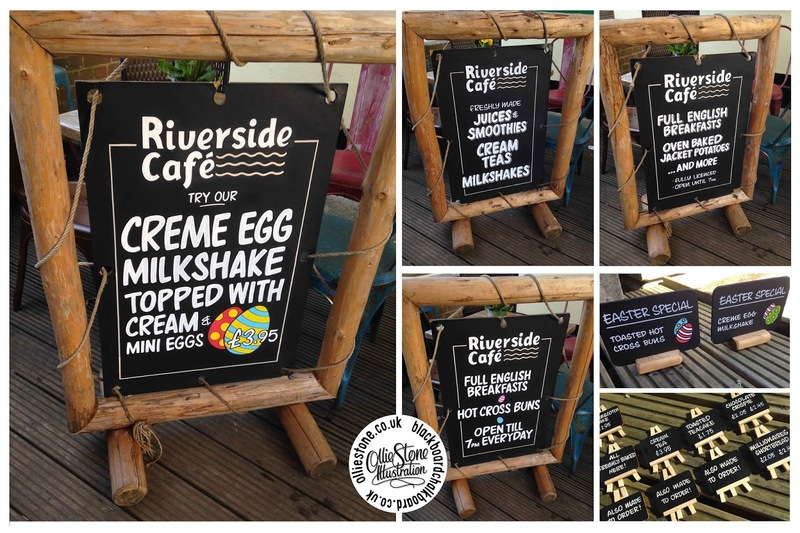 Chalkboards, blackboards and signage. Brighton, Croydon, Tonbridge and Portsmouth. 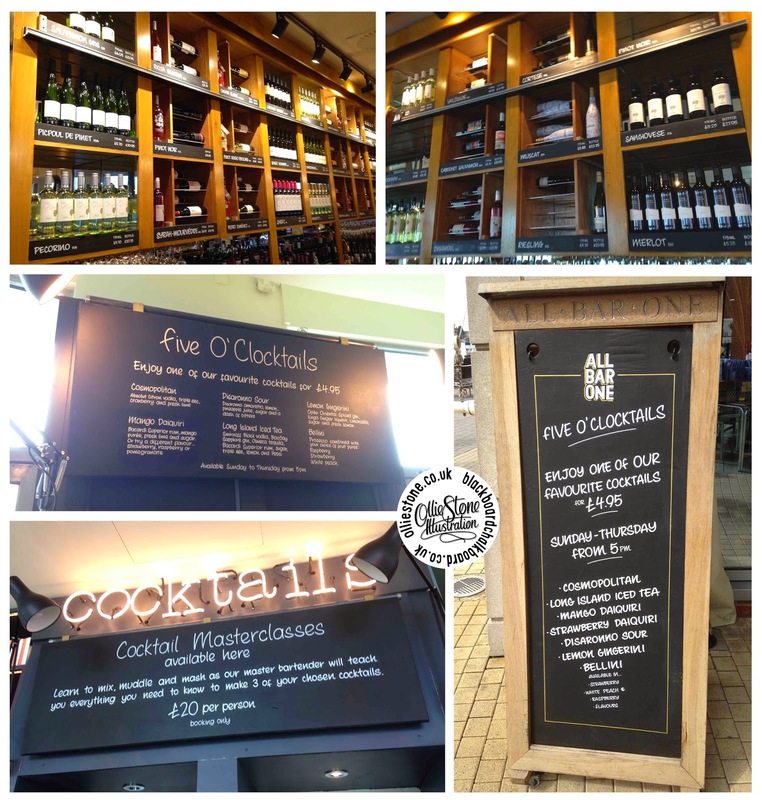 Simple, handwritten chalkboards and wine wall for All Bar One in Gunwarf Quays, Portsmouth. 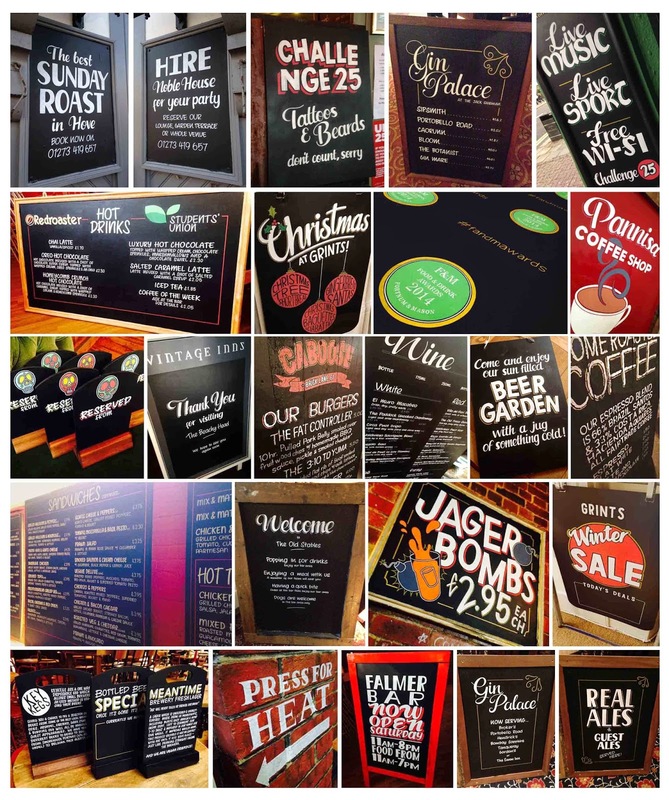 Assorted chalkboards for JD Wetherspoon's, The George in Croydon. 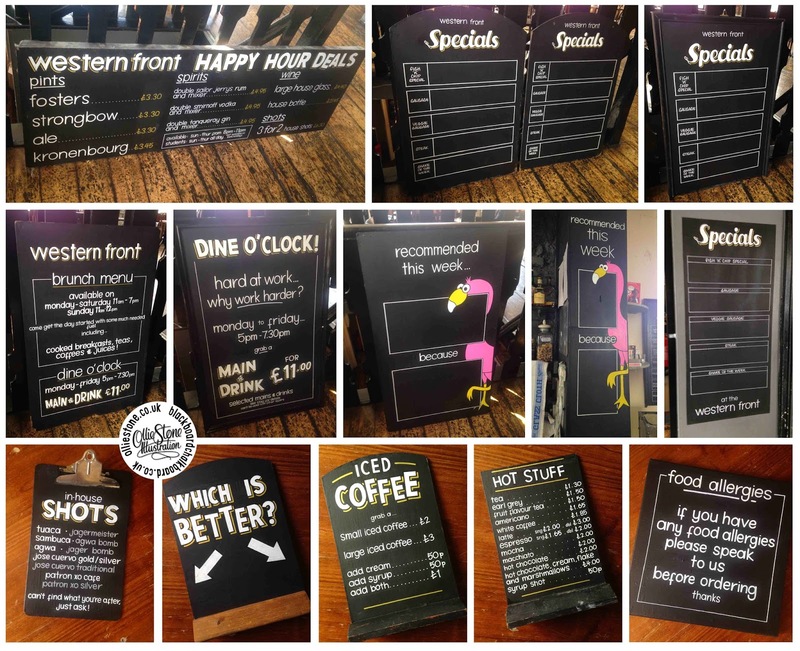 Assorted chalkboards for JD Wetherspoon's, The Humphrey Bean in Tonbridge. 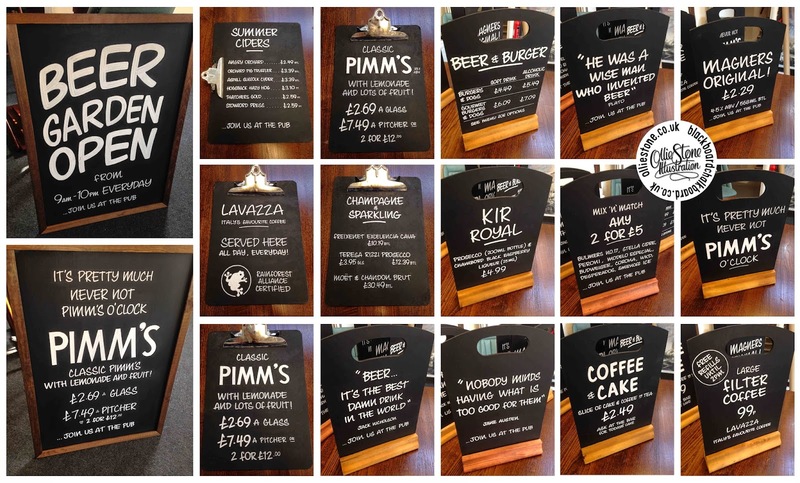 Assorted signage and chalkboards for Drinkin Brighton's, the Western Front in Brighton. 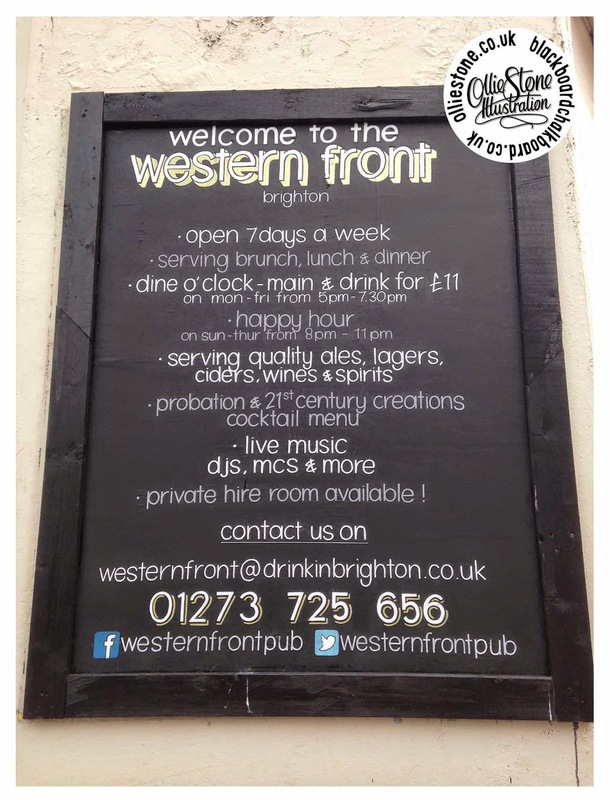 Large, outdoor chalkboard for Drinkin Brighton's, the Western Front in Brighton. 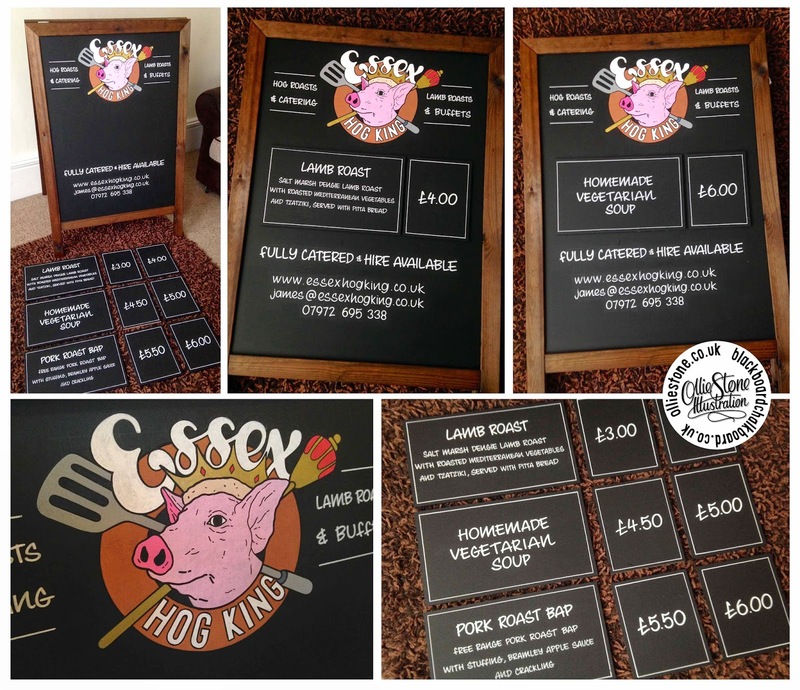 Chalkboard and blackboard writing in East Sussex. 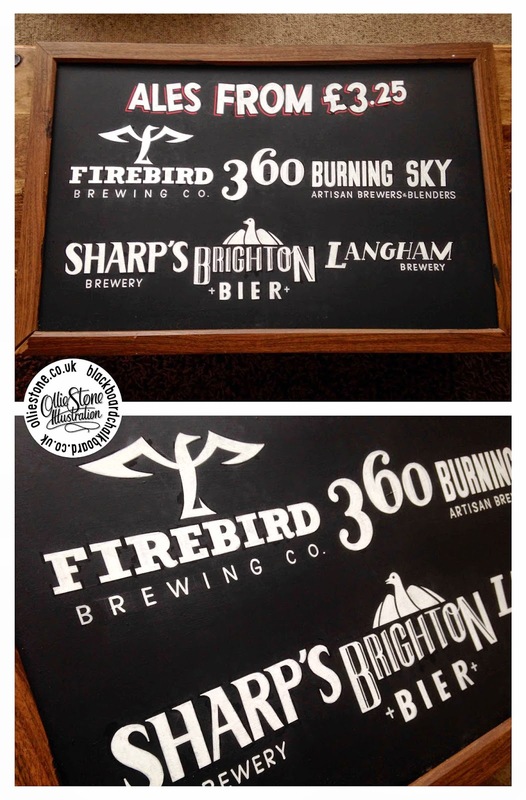 Art Deco style chalkboards for Dirty Blonde in Brighton. 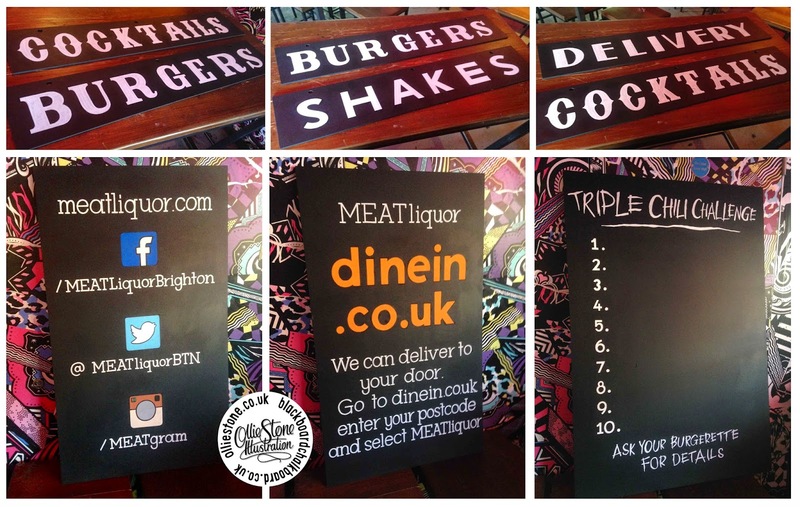 Assorted chalkboards and signage for Meat Liquor in Brighton. 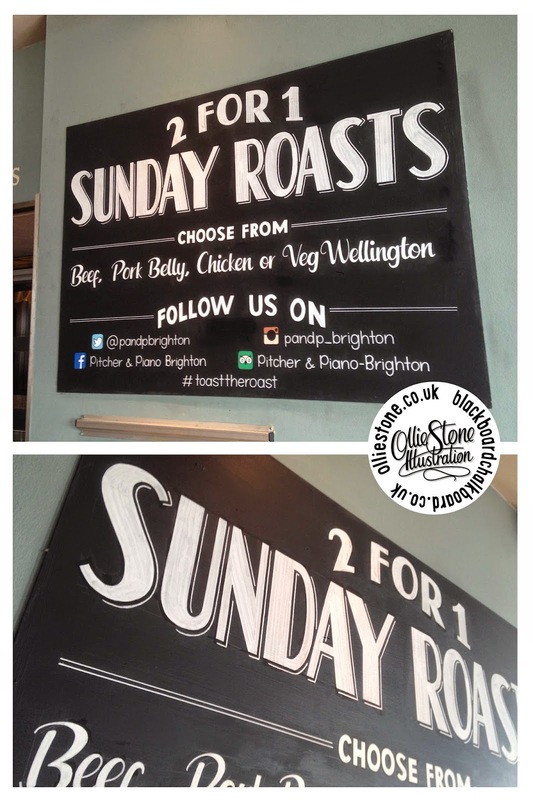 Large Sunday Roast chalkboard for Pitcher & Piano in Brighton. 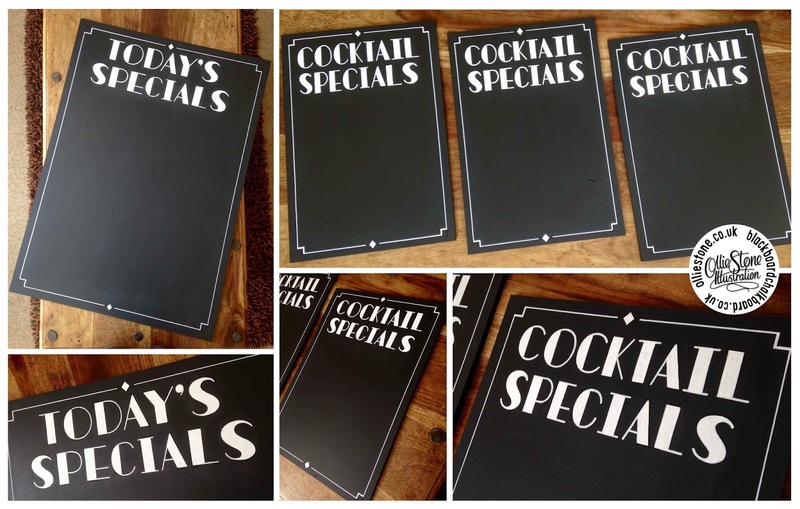 Table and bar top blackboards and tombstones. 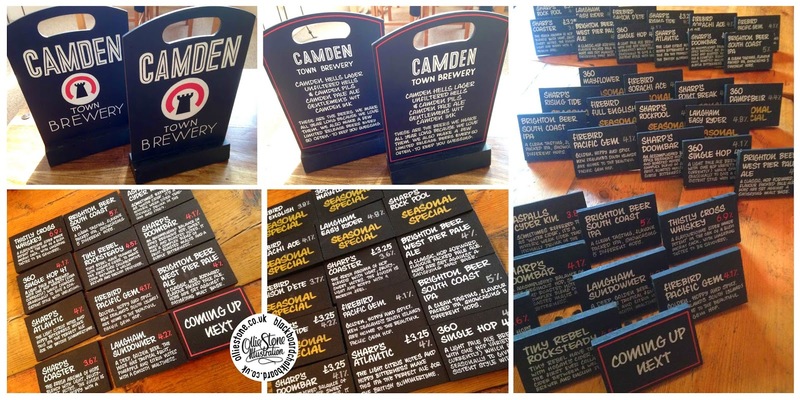 Looking for a few small blackboards to liven up your tables, or maybe you'd like to show off a brand-spanking new ale that you've just got in. 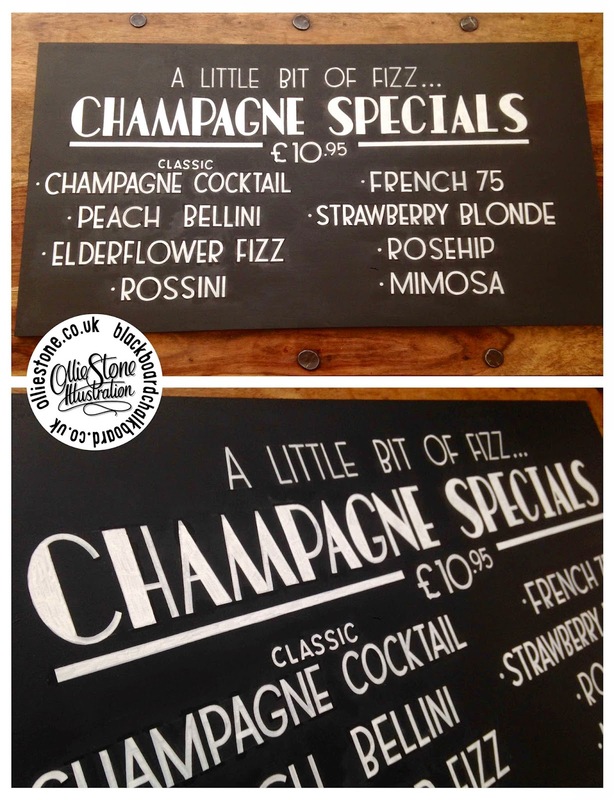 Either way, tombstone boards are the perfect way to do it, and here are a few examples to whet your appetite! Tombstones for the Good Companions pub, Brighton. 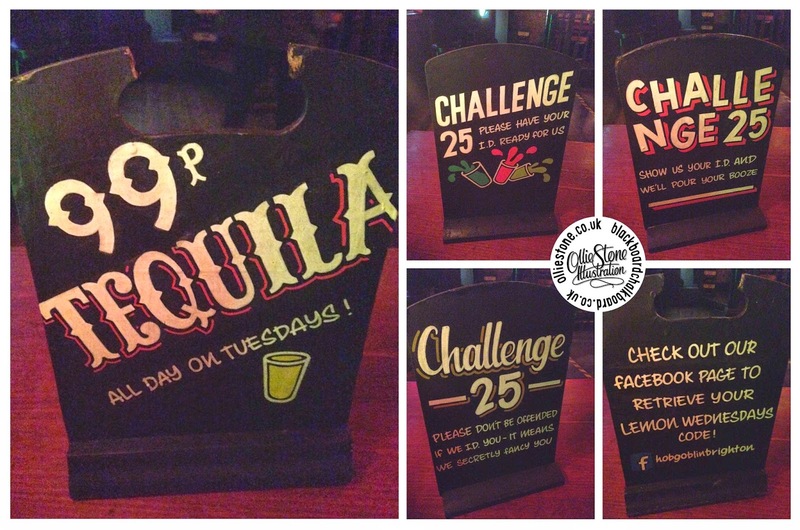 Tombstones for the Hare and Hounds pub, Brighton. 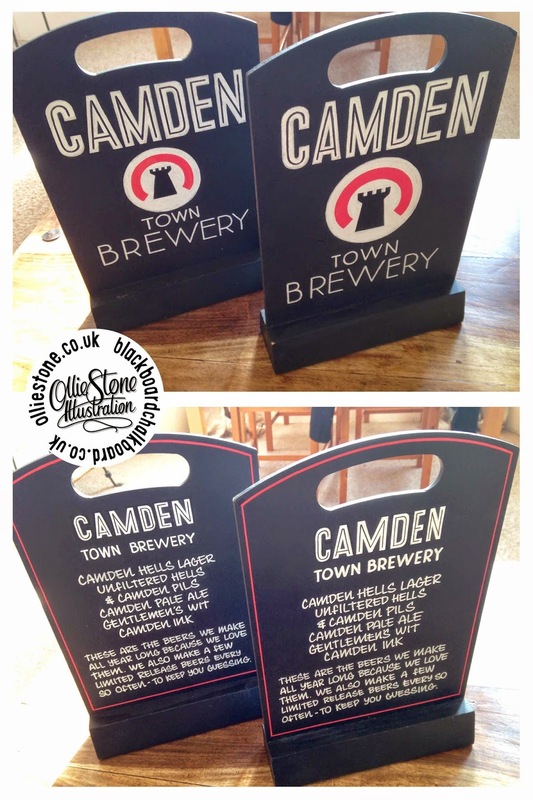 Tombstones for The Hobgoblin pub, Brighton. 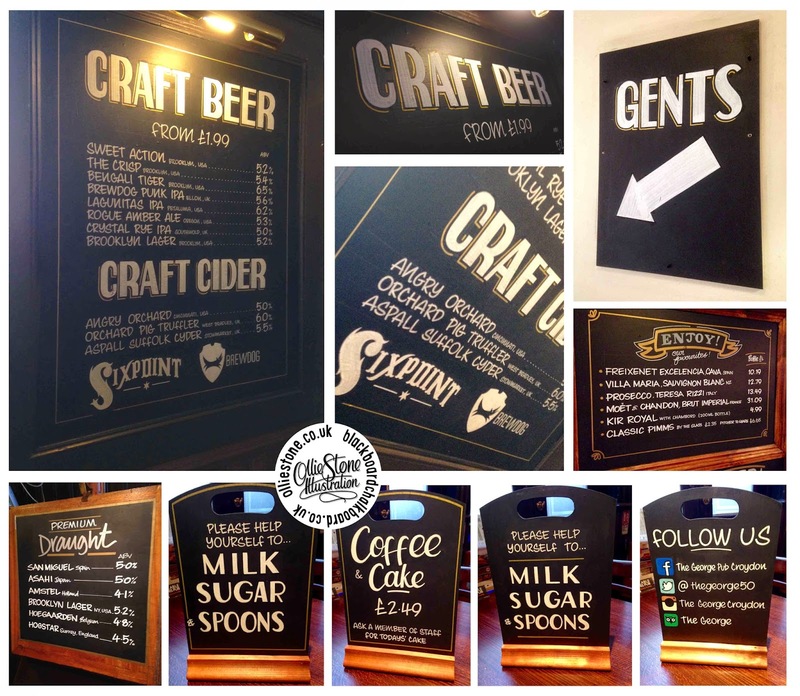 Sign writing for pubs, clubs, cafes, and more!